As there is every year at our club, some fans will be deriding the fact that we haven’t started this summer’s transfer window by signing x number of players. It is a valid criticism of Daniel Levy and the club as a whole that we don’t do our business early enough. However, this season there are a couple of mitigating circumstances that every supporter would do well to consider. Over his four years at the club, Mauricio Pochettino’s influence has grown and grown. More of a manager than the head coach he was appointed as back in 2014, he does have an important say over transfer policy. The doubts over his future before his contract renewal, and again last week surrounding the speculation about the Real Madrid job, will inevitably delay signings. A lot of the players being scouted will be Poch’s preferences above all else, and it is important to emphasise that deals (especially with Levy at the helm) can take a while to be concluded. With our manager’s future seemingly secure, we can now press ahead with the club’s plans without any fear that the man who wanted the targets signed will be leaving. The Evening Standard believes that at least three players: Toby Alderweireld, Danny Rose and Mousa Dembele will be moving on. It’s likely though that replacements will only be signed when these player’s futures have been resolved. Currently, there have been no bids for the trio in question that we know of. With such uncertainty, it does make planning difficult. With finances as they are with the £850m cost of the new stadium hanging over the club, it’s unlikely we’d see a situation like with Fabinho at Liverpool, who was signed in the knowledge that Emre Can was heading out the exit door. 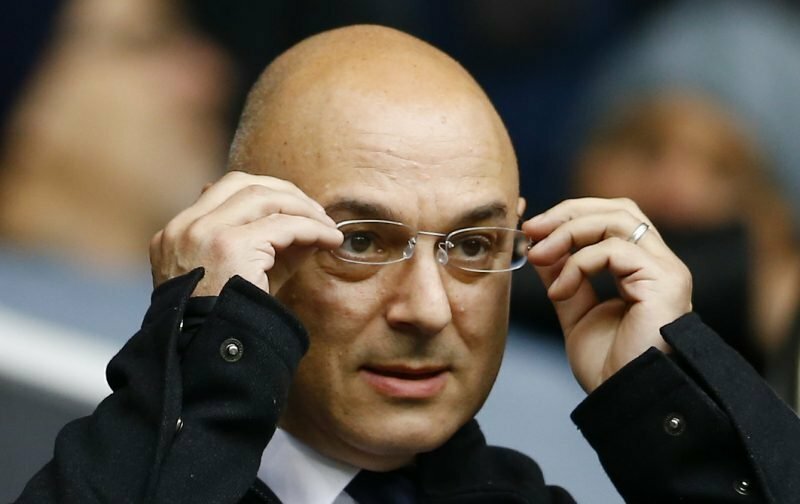 Levy and the club will probably want to make sure that Toby, Danny and Mousa are all certain to leave before finalising any incomings. Talks with these players may now have to wait until after the World Cup as deals are unlikely to occur during the tournament. Considering the glacial pace of transfer business in past windows, impatience is very understandable. Remember though, it is only 5th June. If we are still waiting for movement on 5th August, then I will certainly be a lot more concerned. Vorm, N’Kou, Sissoko, Jansen and Llorente will all probably go as well. I think Dembele and Toby are off. You haven’t a clue what you are talking about with some of the players you’re saying to get rid of. If we had someone like you as a manager we’d be getting relegated within a season. It’s a tough transfer window to call. I can easily build a case that about 20 or 21 of next years squad are already at the club and therefore no need to panic. I’ve said for weeks that we need long term first team additions and not more squad players making up the numbers. We have enough of them. I also believe that Poch will be more worried about getting the 12 players back from the WC in one piece, rested up and match fit than he will about signing a new player that will start the season opener. Getting his best players committed on long term deals is another major focus as is getting Wanyama, Winks etc back to full fitness and injury free. What impacts the 1st eleven the most is Dembele. Whilst Toby is getting the attention, it is Mousa that leaves a current 1st team hole if he moves on. I hope Onomah and a fit Winks gets their chance to impress in that position in pre-season. They are both more talented than we give them credit for. I also hope that Dembele stays. If we do make an early signing, logically it should be an attacking player. That’s the most difficult position to get used to in a Poch setup. We’ve seen Toby, Sanchez and Wanyama slot in seamlessly in previous seasons but don’t recall one of our front 4 finding it so easy. Even Son and Dele took their time and to a certain extent still drift in and out of their tactical responsibilities. I don’t believe there is any uncertainty about MPs future … he’s here for the duration of the current ‘project’, the result of which won’t be known for at least another three or four seasons. The uncertainty over players is a different matter. I would hope that Levy and MP have already discussed different scenarios and options, and are ready to act when they need to. It’s just a few weeks until we all know. More patience and less unfounded speculation will get us fans through the waiting time! To some extent the timing is irrelevant. If you are signing an experienced player who is already playing in the premier league then yes a pre season can make all the difference. Although this year with so many players away at the World Cup I’m not sure even that applies. Generally though you are talking about signing players from abroad and that means they will take a year to adjust with or without a pre season. Moura has just been talking about how much quicker he’s finding the premier league and how he’s having to change his game to adapt. As the article says, it’s often a better thing to do your business early, and unfortunately we don’t usually follow that advice. But that’s well documented and well debated, so let’s not beat a dead horse. My problem is again in the communication. If the club had said “that’s just the way we operate and do business”, and we as fans had to live with that, fair enough. What I find disappointing is that MP was in the media in April saying that they were hoping to do business early, ideally before the WC, because if they waited after the tournament, they might be priced out of the players they liked. Levy was in the media a few days later saying that it was his intention to back MP early. Why come out and say those things if you’re not going to deliver on them? It creates expectations with the fans, and it gives the critics more ammunition. I just think the club would be better off saying nothing, than saying something they cannot deliver on. Timing is slightly relevant if it is a non World Cup player that we buy. Optimally then it would be any time before 2 Jul when Poch gets the group back together for pre-season. I do agree though that transitioning from one Premiership club to another is easiest. It’s then just about learning the new manager’s tactics rather than getting the speed and style of the league. However, most of the Prem names I read about are more squad fillers rather than players that can challenge the 1st eleven for their shirts. The best players are mostly with the top 6 clubs already. If levy gets martial and de lieght within the next month then we’re going good.the key signing this summer has to be a top playmaker in centre of the park it’s what we need ,in my opinion it turns us from champions league places to contending for cups and titles. Spurs have a top play maker in CE, however, he is not used in that role, in Mp’s set up. Under pep he would play the deybruyne/silva role with dele and would smash it. If Spurs buy Martial and shequrei hopefully it will push CE back to midfield. CE is spurs Pirlo been saying it since the Lester season. One thing to bear in mind is we don’t control the process. United are supposed to be interested in Toby, they haven’t made a bid so far. They may well feel that, given we are under pressure to sell, leaving it late will strengthen their negotiating position. If that’s the case there is absolutely nothing we can do about it. Some very good points here, my opinion says lets stop worrying to much and let the powers that be get on with it, because Spurs have never really let on to the media what they are up to. BS…some very good points about saying one thing and doing another which puts the fans in limbo, but to be perfectly honest the media ask so many leading questions during an interview that Poch for example is put in a no win situation. BS and PY …. MP no doubt hoped deals will be made before the WC starts, if possible. These deals involve other clubs, not just THFC, so we don’t have sole control over the timing of negotiations. Just a reminder, but the WC hasn’t started yet as far as I know. Spurs have Dele and CE who could play the role together with one Dm of your choice Dem, wan or dier. Geof – we may be happily surprised, but the WC starts in 8 days. That’s a very short time away now. As for the influence of other clubs on negotiations, again MP knew this when he made that statement. Either you feel confident in your ability to get deals over the line rapidly (usually, a good start is by being willing to pay the asking price, and if you’re selling, quoting the going rate), or you view those moving parts as a risk, and you refrain from making those statements. I do agree with PY that the media will ask leading questions which are hard to navigate, but I’m sure MP is trained by communications professionals on those matters. It’s also equally as easy for him to just say “transfers are Daniel’s responsibility” and leave it at that. BS …. All I’m saying is 8 days is 8 days, not now. it’s like reading through a match thread where some people down the team because we’re losing … and then we go on and win. Surely it’s more logical to wait until it’s over. Geof – fair enough. Let’s see what happens. Either way I’m sure it will be discussed, in one way or the other, on VS come next Friday! This late dealings scenario is not just this season, it is am annual event. The talk about MP’s future being in some doubt, the WC, the new ground ( which Levy stated would not affect transfer spending ), are all excuses. As other club do, which should have decided on our targets before the window opens, then go in and make realistic bids to sign them. What we do is continually look for bargains that crop up as a result of the dealings others do, or those left unwanted and unsold at or near the deadline ( Sissoko). Is this any way to run a top 6 club.